When it comes to higher education, students in the Hudson Valley have a variety of options. Whether you are interested in local schools for your college-aged children, or seeking to advance your own education, you’re likely to find a Hudson Valley institution that will meet your needs. 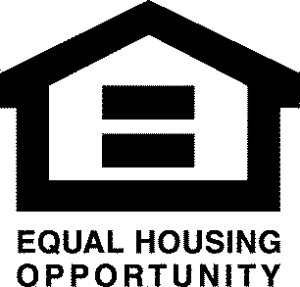 Take a moment to get to know a few of your options right in and around Newburgh NY. Also known as Orange County Community College (OCCC), SUNY Orange offers a variety of credit and non-credit courses on two campuses in the City of Newburgh and Middletown. 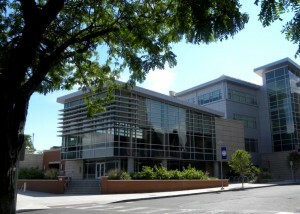 The Newburgh campus features state-of-the art, environmentally friendly facilities, where students may earn associates degrees in fields as diverse as business management, criminal justice, liberal arts, and nursing. While many programs are offered in their entirety within the Newburgh campus, students also enjoy free shuttle service between the two campuses to broaden their course and scheduling options. Students may also opt to attend classes virtually through their distance learning program. In addition to its accredited degree programs, SUNY Orange is known for its selection of cultural offerings that serve to enrich students and community residents alike. Art exhibitions, musical performances, lectures, master classes, films and special events are all open to the public. Interesting Fact: SUNY Orange was founded in 1950 as the first two-year community college in the SUNY system. This four-year, public university is located on 257 acres in beautiful, rural New Paltz. SUNY New Paltz is primarily a residential university, serving approximately 6,600 undergraduates and 1,100 graduate students. The university is made up of six colleges: Arts and Sciences, School of Business, School of Education, School of Fine and Performing Arts, School of Science and Engineering, and the Graduate School. Currently there are 105 undergraduate programs and 50 graduate programs for students to choose from. Students choose SUNY New Paltz for its lovely location, with access to outdoor recreation in the Shawangunk Mountains, and the unique restaurants, shops and historic sites in this fun and quirky college town. In this era of escalating educational costs, students also appreciate that New Paltz is recognized nationally as a “Best Value” university by The Princeton Review and Kiplinger’s Personal Finance. Interesting Fact: SUNY New Paltz’s Parker Theater houses one of the most notable collections of originals costumes and set designs in the US, the Raymond T. Kurdt Theatrical Design Collection. Marist is a highly selective, private liberal arts college located in Poughkeepsie NY along the majestic Hudson River. Marist serves over 6,000 students with its 44 Bachelors programs 12 Masters programs. The university was originally founded in 1929 as a seminary for training Marist Brothers, a Catholic order of Brothers dedicated to the education of Christian youth. Today, Marist is an independent, religiously unaffiliated university that still honors its founders’ values of educational excellence and service. Athletics are an important part of the Marist tradition, and the college currently sponsors 23 NCAA Division I sports teams involving over 550 varsity athletes. Marist’s program has been recognized by Sports Illustrated as one of the 200 best college athletic programs in the county. As impressive as these athletes are, however, the Red Foxes are known for more than just their feats on the field or in the water: For the 11th year in a row, Marist has led the Metro Atlantic Athletic Conference (MAAC) with the highest number of students selected to the conference’s Academic Honor Roll. Interesting Fact: Students can immerse themselves in culture, history, and language at Marist’s branch college in Florence, Italy by taking advantage of this unique study abroad opportunity. Notable Alumni: Timothy Brier, Founder, Priceline.com; Ian O’Connor, New York Times best-selling author and sports columnist; Bill O’Reilly, political commentator. Vassar College is a highly selective residential college of arts and sciences that currently enrolls approximately 2,400 students in Poughkeepsie, NY. Vassar was founded in 1861 as a women’s college, and was historically the sister institution of Yale University until it became coeducational in 1969. The college is nationally recognized as one of the ten best liberal arts schools according to U.S. News and World Report. Vassar offers over 50 Bachelors programs, including an independent major and several interdisciplinary programs, allowing students flexibility to choose a traditional major or design their own curriculum. Students are strongly encouraged to study abroad during their junior year at one of the affiliated or approved programs across the globe. Vassar’s ambitious and talented student body has a long history of participation in a wide variety of extra curriculars. For example, aspiring journalists and writers publish the award-winning weekly The Miscellany News, which is one of the oldest student papers in the county, founded in 1866. The Vassar Night Owls, established in 1942, has a similarly impressive history as the longest running all-female a capella group in the US. Students at Vassar may also participate in varsity and club sports, student government, political organizations, and even circus arts. Interesting Fact: Vassar’s Butterbeer Brewers won second place in the 2008 US College Quidditch Cup, and quidditch practices are open to all members of the Vassar community. 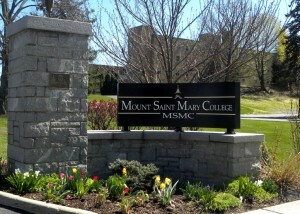 Mount Saint Mary College – known to locals as “The Mount” – is a private Catholic liberal arts college located in Newburgh NY. It is a U.S. News and World Report-ranked top tier regional university. The Mount offers 47 bachelors programs, as well as three graduate programs leading to a masters in business, education, or nursing. The college enrolls over 2,700 students, with the majority being traditional undergraduates who live on campus in suite-style residence halls and townhouses. There is also a strong commuter student community. Small class sizes, strong faculty, and competitive pricing are some of the reasons students choose Mount Saint Mary as an excellent educational option in the Hudson Valley. The university’s history in Newburgh dates back to 1883, when a small group of Sisters of Saint Dominic opened Mount Saint Mary Academy. The school has gone through many dramatic changes since then, but the program’s heritage continues to be reflected in its ongoing commitment to Catholic and Dominican ideals. Interesting Fact: Mount Olympics and Spirit Week are a college tradition in which members of freshman, sophomore, junior, and senior classes compete in a variety of events each October. 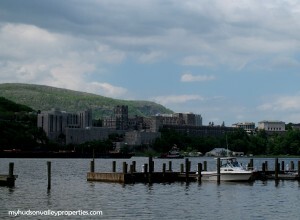 The United States Military Academy (USMA), also known as West Point, is a coeducational, federal service academy in West Point NY, near Highland Falls. Founded in 1802, USMA provides undergraduate cadets with preparation for leadership in the U.S. Army, as well as a rigorous education culminating in a Bachelor of Science in one of 37 majors. Graduates of “The Point” earn a commission as a Second Lieutenant in the Army or one of the other branches of the armed services. Admission to West Point is a challenging process requiring both direct admission and nomination, typically by their US State Representative or Senator. Students are primarily U.S. citizens hailing from all 50 states, although there are a small number of international students who go on to military service in their home country after graduation. The beautiful and scenic West Point campus is full of history dating back to the Revolutionary War, and is a popular site for visitors to enjoy guided tours or a walk through The West Point Museum. 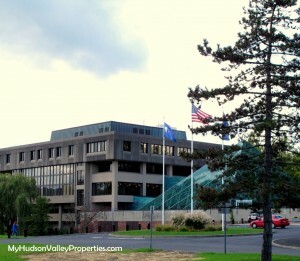 Local residents often come to campus to visit Eisenhower Hall, one of the Hudson Valley’s premier venues for theater, comedy, and musical performances. The nearly 4,500 seat auditorium features nationally and internationally recognized performers and popular Broadway shows. Interesting Fact:West Point was the first college, in 1835, to begin the tradition of the “class ring”.